Plastic Cam Followers Replace Costly Metal Cam Followers in Many Applications Cam Followers are designed to transmit motion in today's high-speed and light-duty machines in medical, packaging, and semi-conductor equipment. The plastic roller makes these Cam Followers the best choice for many applications. New Hyde Park, NY – SDP/SI – Stock Drive Products/Sterling Instrument, a leader in comprehensive mechanical solutions for a wide variety of product applications has expanded their product offering with the introduction of a new series of Plastic Cam Followers. Cam Followers using plastic composite rollers are a maintenance-free alternative to traditional metal designs, providing cost-saving benefits. A direct replacement for metal cam followers, the Plastic Cam Followers are lube-free and quiet running due to shock and vibration absorbing capabilities. 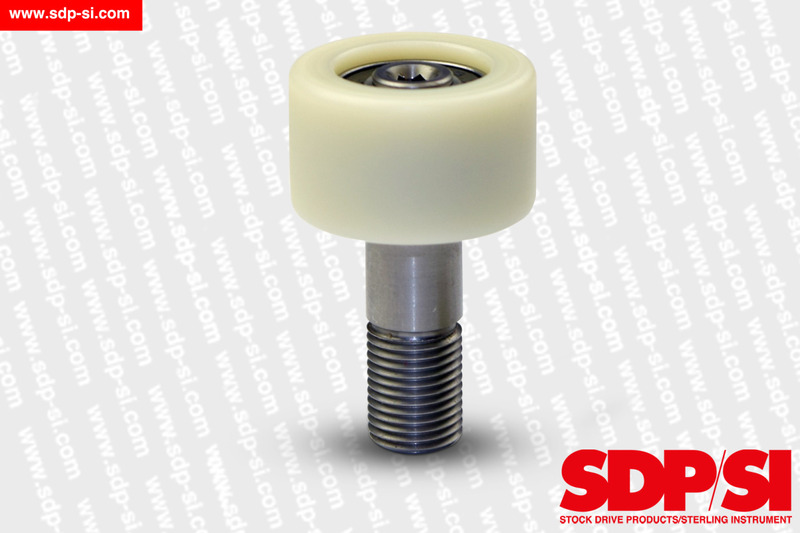 Series S7NSRY-… are offered in a range of sizes, 5/8” up to 2-1/2” O.D. and can be purchased at the SDP/SI E-store. Other materials and customized design are available to meet client’s requirements.